Braces: A Rite of Passage? In America, braces are a very popular technology. The use of teeth straightening devices are widely used by not just teenagers, but adults as well. Though having braces isn’t a “do or die” situation, they are important. For one, braces help with not only teeth alignment, but jaw alignment as well. If you suffer from any jaw pain, orthodontia has tools to help and offer relief. Also, if you have any missing teeth or poorly aligned teeth, braces can help you correct the alignment and fix other underlying issues, such as the quality of your breathing, teeth grinding, and pain while chewing on food. In this blog, we will discuss how braces can be an effective tool to help reverse poor alignment and fix major issues that may impede on your everyday life. In this blog, we will also state how common braces are. 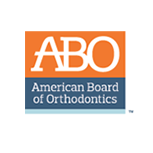 So, if you are considering braces (at any age), this blog might be able to clear the air and any of your anxiety about the process. Braces have almost become a right of passage for children and teens in America. In our culture, having straight, or at least well-kept, teeth is expected. If you do not have nice teeth, you may have an off-putting smile and be excluded from certain events or occasions. If you have bad teeth in America, it generally can mean that you don’t have enough money to fix your teeth in the first place. This emphasis on straight teeth in our society can, unfortunately, put added pressure on families where money is tight. Also, braces have become exceedingly popular in the last two decades, so older generations may not have had the stigma surrounding bad teeth when they were young. Luckily, for today’s generations, teeth have profound importance. Both dentistry and orthodontia have become important in every child’s life. It is recommended that children between the ages of eight and 12 receive their braces — although you can be fitted for braces at any age. It is recommended to have kids receive their braces because their permanent teeth haven’t fully come in and their teeth are far more easily manipulated into proper alignment. Also, because so many teens and pre-teens have braces, getting fitted for them won’t seem so strange. Instead of having to deal with their braces alone, they will have their friends who are going through the same process at the same time. 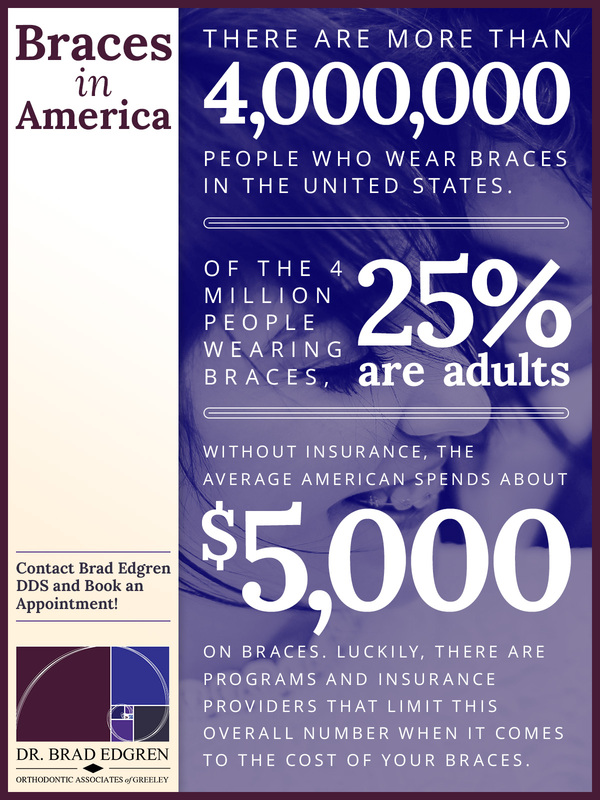 It has been found that roughly 4 million people in the United States wear braces. And, of these 4 million people, 25 percent of them are adults. If you’ve never received proper dental care or orthodontic care when you were younger, your teeth may have grown into a new position in your older age. This misalignment can cause a list of problems, starting with jaw pain, pain while chewing, and even trouble breathing. 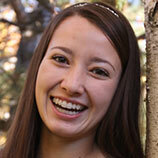 Though braces are typically worn by kids or teens, they are not restricted to those age groups. Actually, anyone can be fitted for braces — at any age. 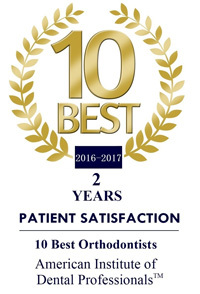 Best of all, if have been suffering from any one of these teeth and jaw alignment issues, it is never too late to seek help from your local orthodontist. 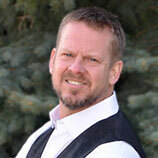 Contact Brad Edgren DDS and book an appointment for your braces!